Last year, Gerome Soriano, a Fine Arts graduate of the University of Sto. 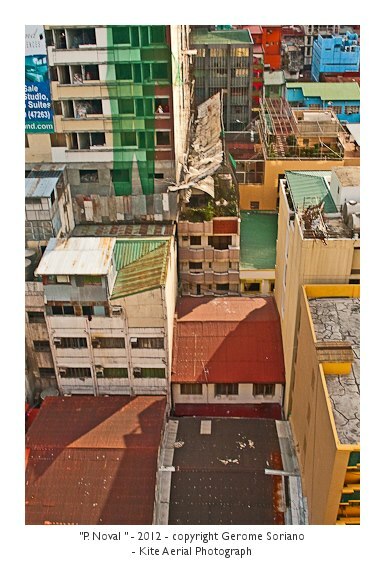 Tomas, won Best Portfolio in Photography at Behance Manila Portfolio Reviews held at 98b Art Collaboratory. One of the things that was impressive about his photography was the method he used to capture aerial images--using a kite contraption. Kite aerial photography has been around for more than a century. 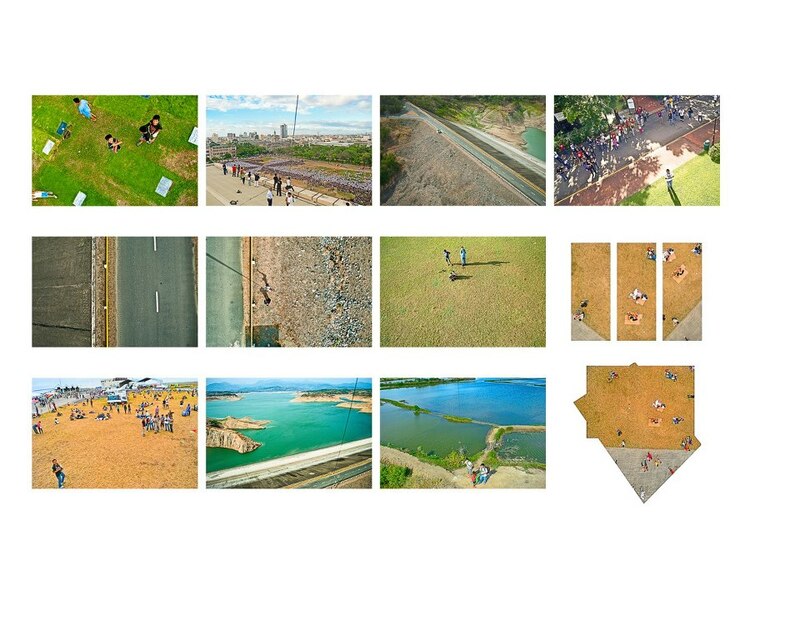 The first kite aerial photographs were taken in 1887 by British meteorolist Donald Archibald. In the Philippines, Gerome Soriano is one of the very few who's taking the craft seriously. He started doing it for his college thesis at UST's College of Fine Arts and Design. This earned him a best thesis award and a place in the University's 2011-2012 Best Thesis Exhbition at Beato Angelico building in July 2012. The challenge of it and the disappointment that no one is doing it here despite our (Filipino) tradition of kite-flying. The thrill of, finally after all this years, learning how to fly kites and combining it with my favorite medium, photography. Plus many other factors. How did you come across the method of using kites for aerial photography? I was searching for something unique to tackle in my thesis study. It is one of the few interesting, weird, difficult things I found that I could tackle as my thesis. [I] really did not expect that my thesis adviser would approve of it. How does the contraption work? The basic concept is that it uses a transmitter used for remote-controlled aeroplanes, boats or cars but the functions are changed. For example by moving the left control stick up and down you move the steering wheel. Instead you change that function to pan the camera to the left or to the right and so forth for the tilt and the shutter. Do you have your own kite? I have. a 6.5 foot tall rokkaku kite. How far can your kite go? So long as there are kite lines and wind available. But I try to capture images that are closer to the ground because that is where kite aerial photography is best, at occupying the altitude where conventional aircrafts would have problems hovering into. How do you choose your spot? What's your criteria for a good spot? Open space and good winds and good friends to fly kites with. How far do you want to take this method in your practice? I have so many ideas for this method like using locally made kites or going around the Philippines to capture aerial images of famous landmarks and so forth. But funding gets in the way. So for now I'm trying to learn how I can make the project fund itself in the long run. 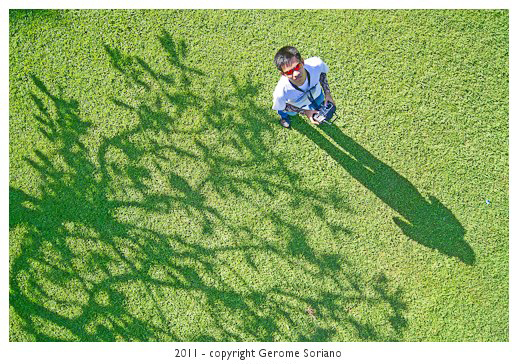 Gerome Soriano takes a photo of himself from above. 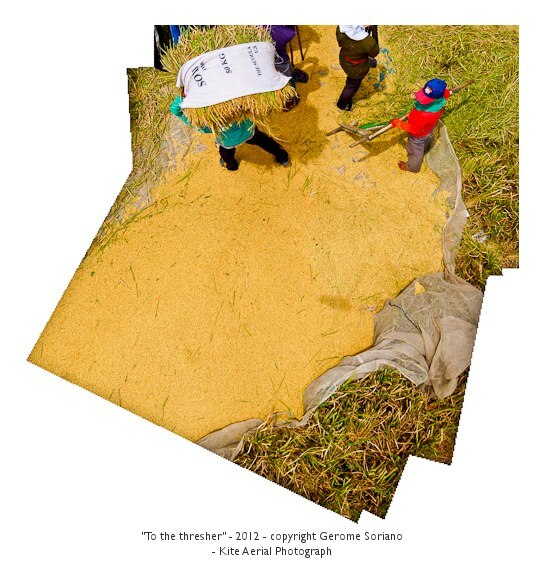 To see more of Gerome Soriano's works, visit his blog http://geromesoriano.blogspot.com.